I have written very little lately about GMOs and the labeling issue. Honestly, I was not surprised when Obama signed the recent GMO Labeling bill into law on Friday, July 29th. I have had a very poor opinion of his relationship with GMOs since he named his cabinet from the first election: The handwriting was on the wall that what he promised in the election was simply to get elected,he, in truth, was in full support of GMOs and had no real intention of labeling them. evidently so did Big Ag! 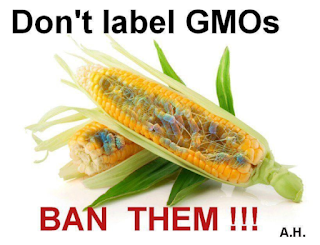 The result of this legislation will be no real labeling of GMOs. 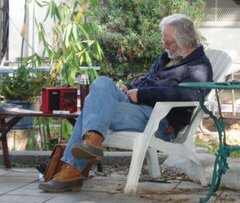 Poor people, the elderly and anyone else without a smartphone will be relegated to 2nd class citizen without access to the technology to help them identify foods with GMOs in them; many more are not going to make the extra effort to try to find out if their food is modified - the onus will be on them and companies get off scot-free. In truth, though there are so many loopholes in this law, many GMOs will not be mentioned, let alone make the ingredients list we have come to rely on. Furthermore, most of the compliance is voluntary and no labeling is put in place for a two-year study period. It superceeds Vermont's and Conneticut's bills which were far more consumer oriented than this one. I was not surprised, but I was deeply offended. Americans, who already lag behind the rest of the world with confidence in our food supply, will only lag further behind. More of our resources are being consumed by GMO production every year and the poisons required to get a crop from these man-made seeds continues to grow in volume and variety. No other civilized country devalues the lives of their citizens as does the United States. While polls still show 90% want their food labeled as GMO if it has GMOs, our government has passed a bill that is a farce of a labeling law. This bill is an insult to every thinking person in this country. It is a lie perpetuated so that corporations can continue to pollute our soils, our environments and our bodies with this un-yet proven technology. This man has evidently appeared in some movies, I don't know. However, I won't hold that against him - he brings a good message. GMOs are part and parcel of this paradigm. They require petroleum-based herbicides and insecticides (in most cases) and certainly rely on fossil fuels for growing and transporting their products to market. This world-vision denies that there are crises on our doorstep. These products are on the wrong side of history, they are far too extractive and they promise that man can defeat nature. It is unbridled hubris that we can fight Nature and win - we have never before. We always say "Monsanto this or Monsanto that" but that's just shorthand for Monsanto and all the others. The truth is that Monsanto is the primary mover and shaker in this technology AND the largest seed seller in the US. It is overwhelmingly sad and discouraging to watch our government enthralled by corporations that do the most harm and the least good. I know our country has survived before, but why do we have to go into the abyss yet again? We will have to figure out a new strategy to avoid GMOs - maybe that means just not buying packaged foods? Maybe we'll have to create and enforce our own standard that keeps the government irrelevant. I know this: to give up is not a choice. There is too much at stake and our voices and our actions are just too damn important to stop! We may have hard days - and harder days yet - ahead, but giving up is not possible. There are children and their future and so much more. We cannot give up in the face of this greed. And we must preserve our planet.